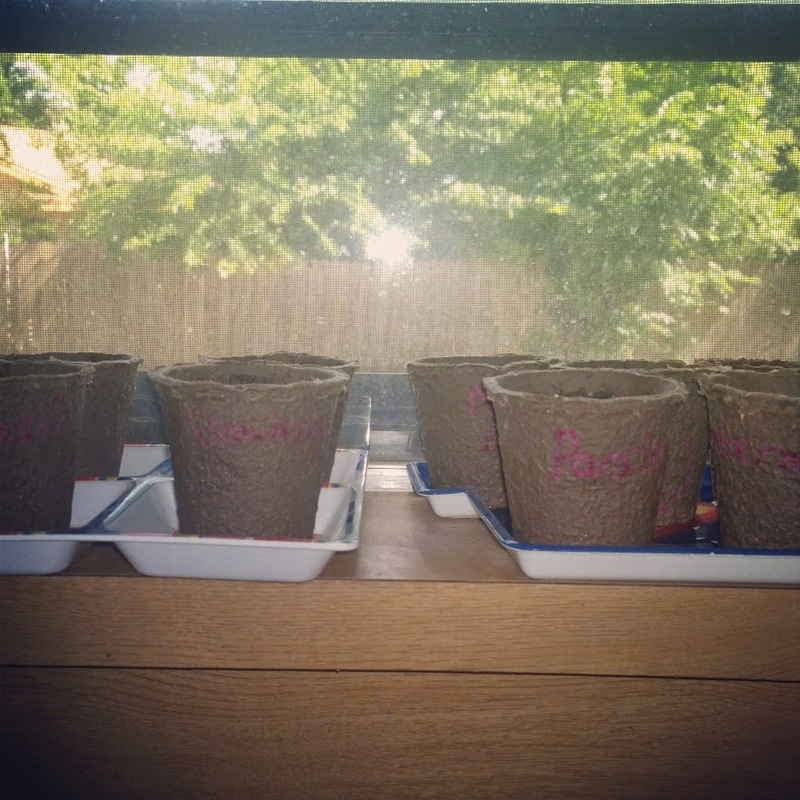 Non-Domestic Mama: How Does Your Garden Grow? No really, share your secret. Cause I haven't got a clue. In the spirit of participating in link-ups I have no business being a part of, (Photography, Fashion) I thought I would jump on the Gardening link-up over at Cari's place. I have absolutely no ability to make anything grow (other than children) or keep anything alive (other than children, pets and, with your help, one tree) but I do have some kind of obsessive need to kill tiny plants. It's sick really. I probably need Gardening therapy or something. I blame Pinterest. It fills my head with these ideas of gardening as some kind of grand educational experiment, curb appeal and living off the land. Sounds great right? The only plants I can manage to successfully grow are the things I don't even know about. 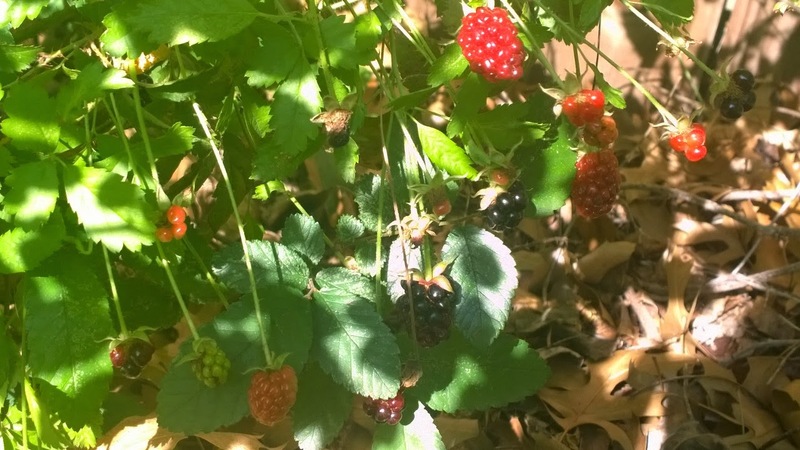 Check out these Blackberries I discovered growing in our backyard. 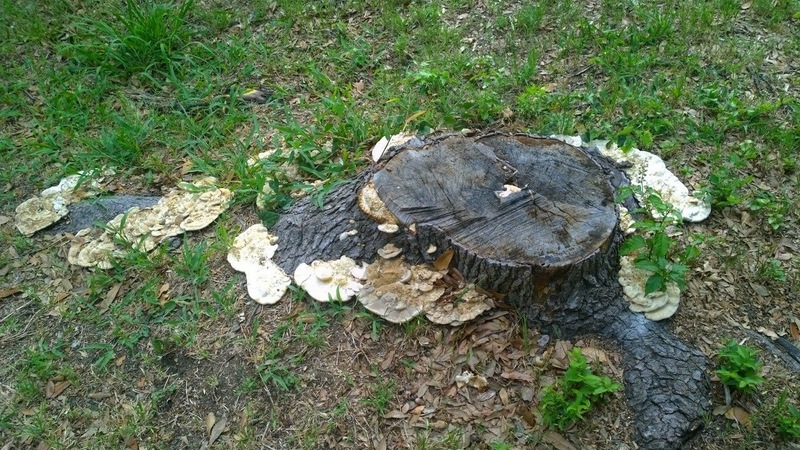 And the enormous mushroom village on this stump. Here is my garden so far. I pretty much planted a bunch of varieties of seeds in little pots to see what takes. Not sure what I will do with them if they should decide to pop up. Probably give them the exact right amount of water and sun to kill them. I have a talent for that. 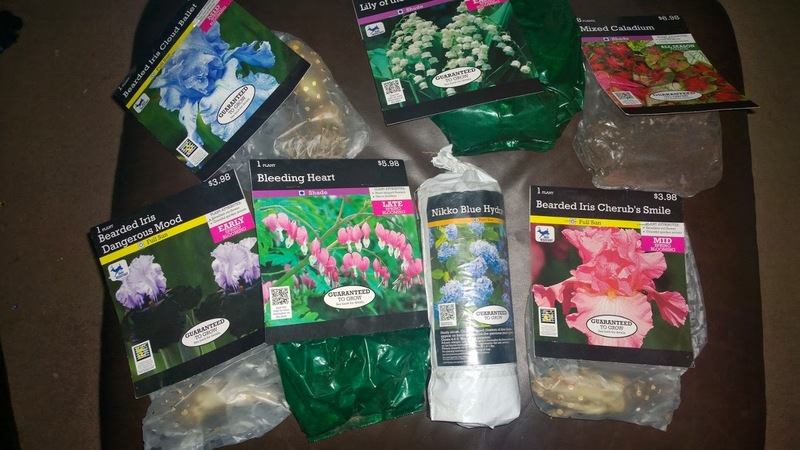 I also took the kids to Lowes and told them to pick out stuff they wanted to plant. You think I should have actually planned that out?? The Princess picked out this one. I did some Pinterest research when we got home. 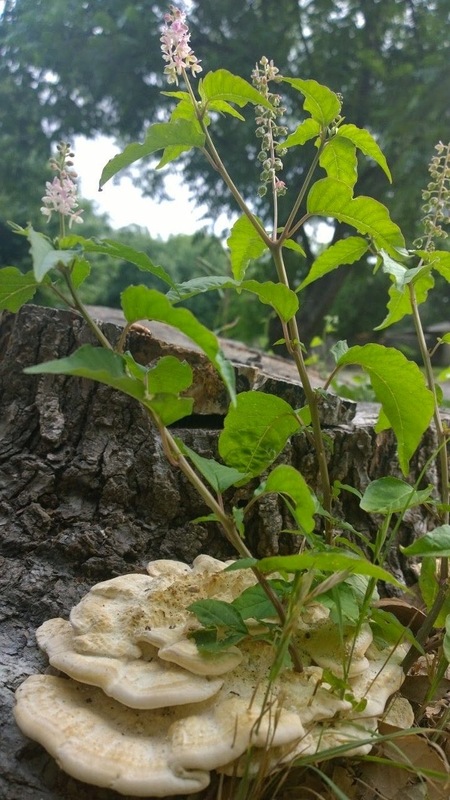 Turns out it's a bush sort of plant. Not bad. 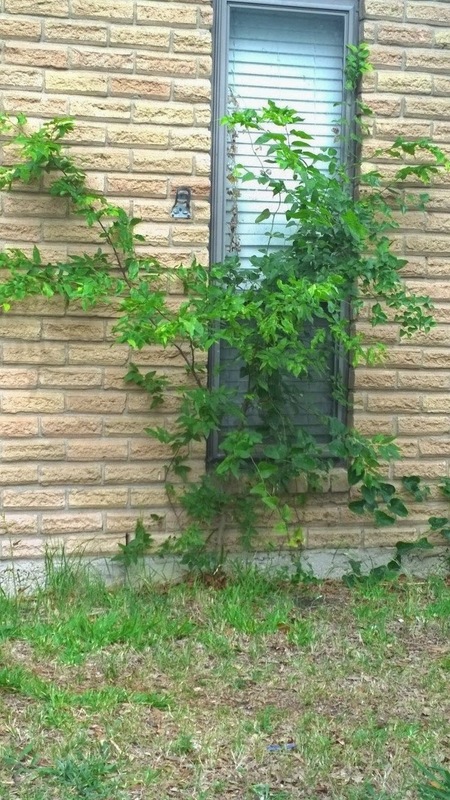 We could use some bushes in the front of the house. It needs sun in the morning and shade in the afternoon. 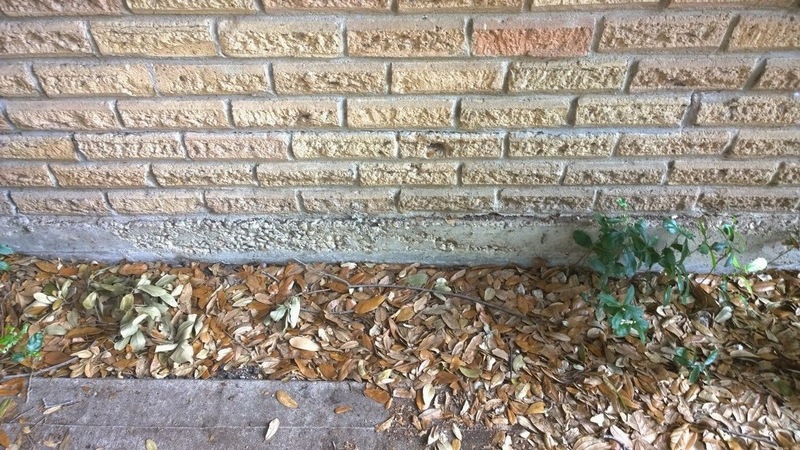 Also convenient because the front of the house happens to get sun in the morning and shade in the afternoon. It also needs lots of water. Ugh. But that spot is right near the faucet. Doable. The Peanut picked out these. 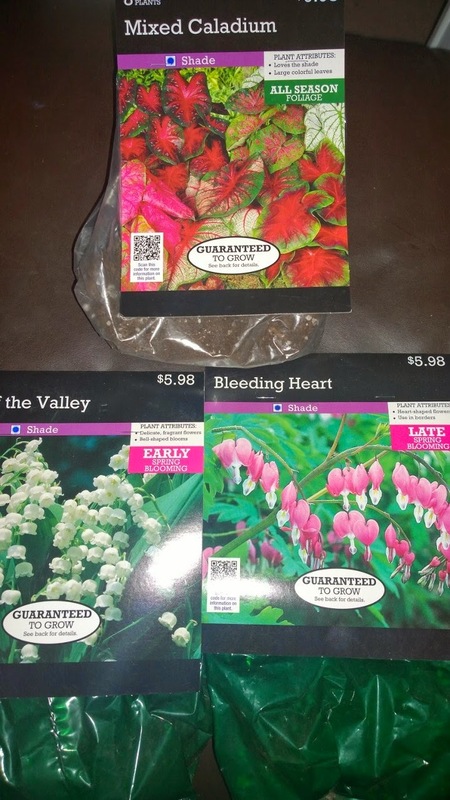 Actually he picked out the Bleeding Hearts. I added the others. 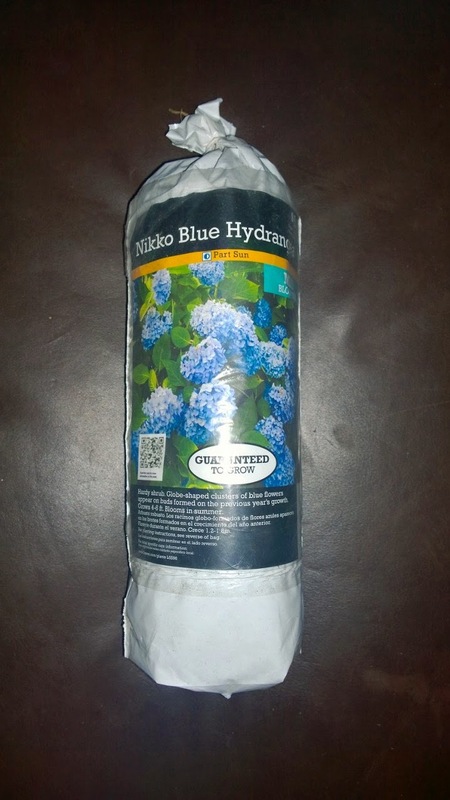 These will go in the tiny flower bed near our front door because it always gets shade. I am thinking leafy ones in back and flowers alternating in front. Or something like that. Because I have no clue what I am actually doing. I had to get Irises. I LOVE Irises. Even more I LOVE colorful Irises. Most of all I LOVE colorful Bearded Irises. Gorgeous. 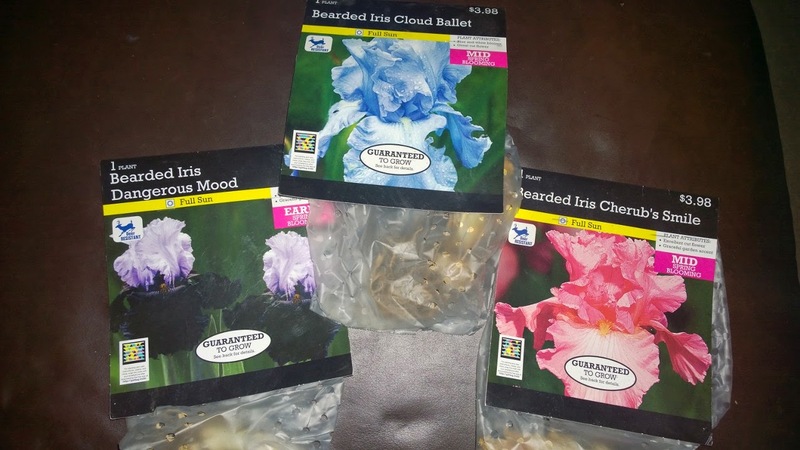 You know what Irises love? Full sun. This could present a problem. 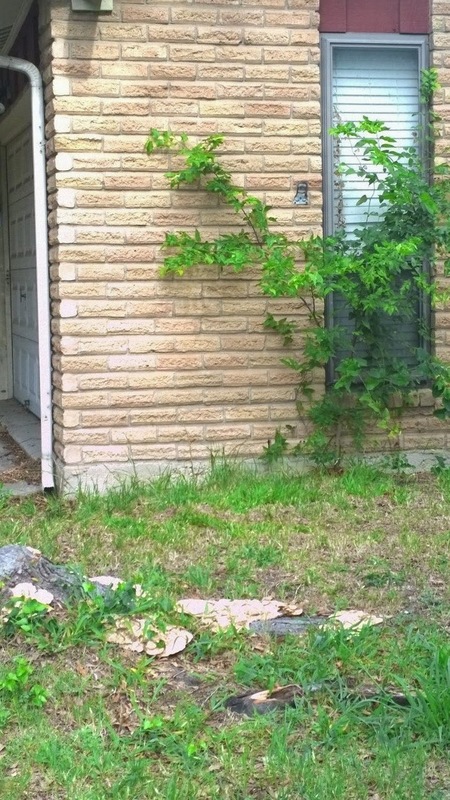 My house is surrounded by trees. Partial sun is really the best I have to offer. But I am absolutely determined to have Irises. So, I have no clue where to plant them. 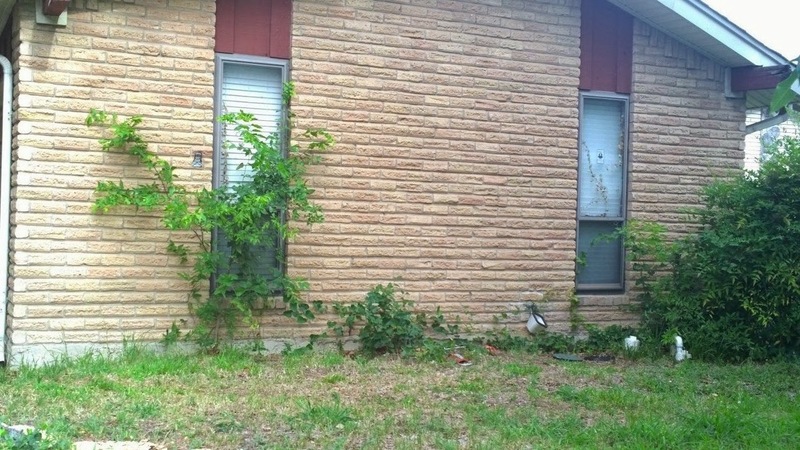 My original plan had been that tiny flower bed where the shade plants will go. But full shade is not anywhere near full sun. Even I know that. Maybe in the giant flowerbed/oak tree sapling forest area. It gets sun in the morning. Or I could put them near the Hydrangea. Again with the sun in the morning. Perhaps the Irises would help hide all the plumbing ugliness over there. 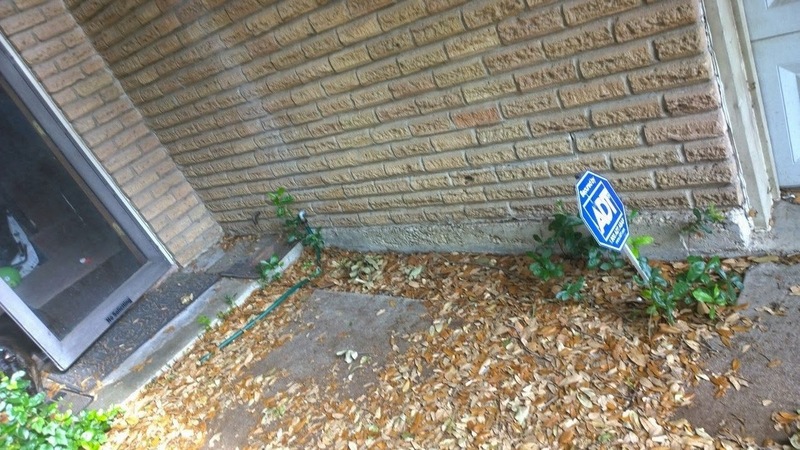 I still need to easily access that area because that is the water shut off to the house. Which we make use of all too frequently. 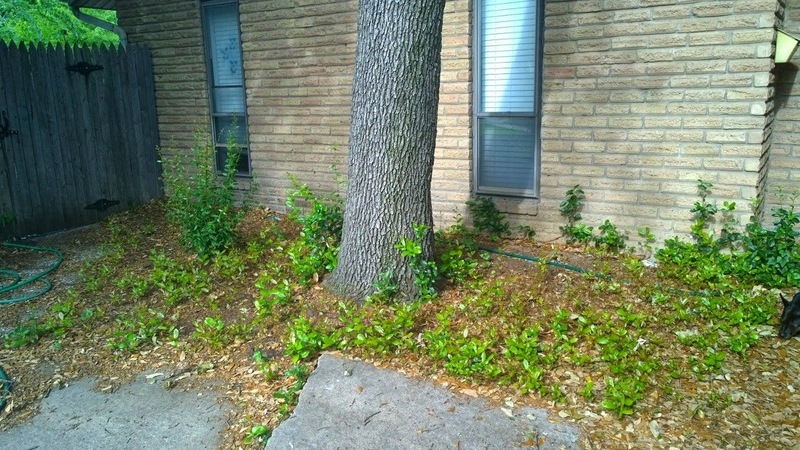 I really need to dig a whole flower bed in that spot, and kill that little tree thing that is determined to grow there, but I don't know if I am up for that task yet. But I am also not sure I am up for digging up a billion tiny oak saplings. Why is gardening so hard??? And while I am jumping on one Link Up, I might as well make it two. Also joining One Hot Mess.